Tracy Coenen has been qualified as an expert witness in multiple state and federal courts, and has been retained in both civil and criminal cases. Although her practice has been concentrated in the Milwaukee, Wisconsin and Chicago, Illinois areas, she has worked cases across the United States and is available for retention in any state. Sequence Inc. provides expert witness services in a variety of industries and with a variety of cases. Our services are not industry-specific. We have completed professional engagements in a wide variety of industries including manufacturing, professional services, health care, insurance claims, retailing, investment management, banking, mortgage processing, non-profit, and construction. Our specialty is in providing expertise related to corporate fraud and embezzlement, tax fraud, divorce and family law, financial statement fraud, insurance fraud, pyramid schemes, and white collar criminal defense. We can be involved at any stage of the litigation process, including strategic consultation, investigation, document examination, deposition, and trial. Tracy Coenen has impeccable credentials and is adept at making financial matters understood by non-accountants,and has an ability to connect well with judges and juries. 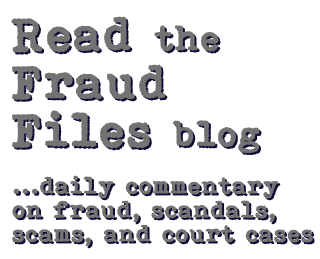 She has testified at deposition and trial more than 50 times, and has personally investigated hundreds of frauds.